A sound clip featuring about 60 seconds from “She Moved Through the Fair”, the duet that Kate (relatively) recently recorded with Rolf Harris, has surfaced on Youtube here. It is unclear at the moment whether the clip has been uploaded by someone associated with Rolf or whether Rolf himself played the clip at a recent UK radio appearance. The 80 year old Australian artist and musician has frequently mentioned the duet in interviews and has been anxious to see it released. Featuring Rolf’s trademark didjeridu along with swirling Irish whistles and a soaring vocal from Kate, this has certainly got us excited to hear the full version of this up-tempo treat. This then, the first time we’ve heard Kate singing new material since Lyra in 2007, nearly three years ago. Update: At the request of Rolf’s publisher, we have removed the audio from the clip that was posted on Youtube, it appears to have been an unauthorised leak. The publishers will update us on plans to release the song when that has been decided. Yay! Even a snippet of new Kate music is always a wonderous thing. Can’t wait to hear the whole tack and her contribution to it. One album in 17 years? I don’t get overwrought by this sort of hyped-up guest appearance anymore. Where has the work that really matters got to, Kate? 🙂 [Seán switches to “glass half full mode”]…OR, put another way, the listening public can now say they’ve heard Kate singing on recordings in the 70’s, 80’s, 90′, 00’s and 10’s. Which is brilliant! Wonderful, she has a few lines in a song… anyway let’s move on. Kate definitely makes that song. Without her it would be Rolf croaking away with his limited vocal abilities over his usual old Didgeridoo cliche backing. I hate to be a grumpus, as well, but I would hardly call that a “soaring vocal,” and seems to be an extremely minor recording. I’ll wait to hear the entire thing before I make my final decision. Even after all of these years, I am giddy to hear any-and-all Kate Bush music! So, even this snippet will keep me going for now. ALWAYS good to hear that familiar voice of Kate Bush! Although, I am stoked about this; Kate’s vocals sound reminiscent of “The Handsome Cabin Boy”, its hard to believe it can get much better, but it’s true, her voice is like wine. It gets better with age. The person who posted this song on Youtube has removed the video, perhaps after pressure from the record company. 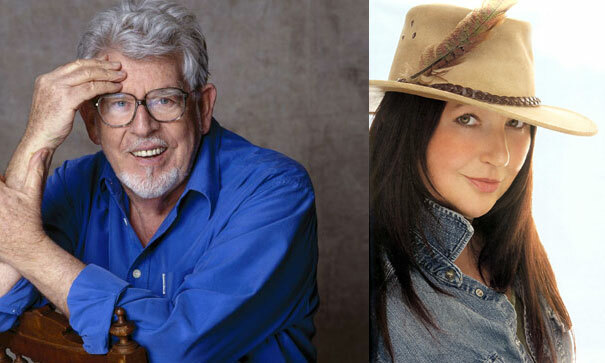 I am certainly an admirer of rolf harris’s creativity with a fine sable and kate bush’s wonderful voice but, a lot more work is needed on this composition. However, I’m sure a more mellow approach will soften rolf’s tones and with kate’s visionary vocals this could be promising.